This one should be fun. Everyone likes to multitask. This inspiring student is taking an online course on his laptop, while riding an exercise bike, and commuting at the same time. The bike might be on the back of a commuter "truck"? or perhaps be a trailer being pulled behind a car full of less innovative commuters. The student is a technologist, late 20's to 30's dressed ... casually? or maybe in fitness clothes? He is happy and ambitious (but also tired - as in trying to do just a bit too much). 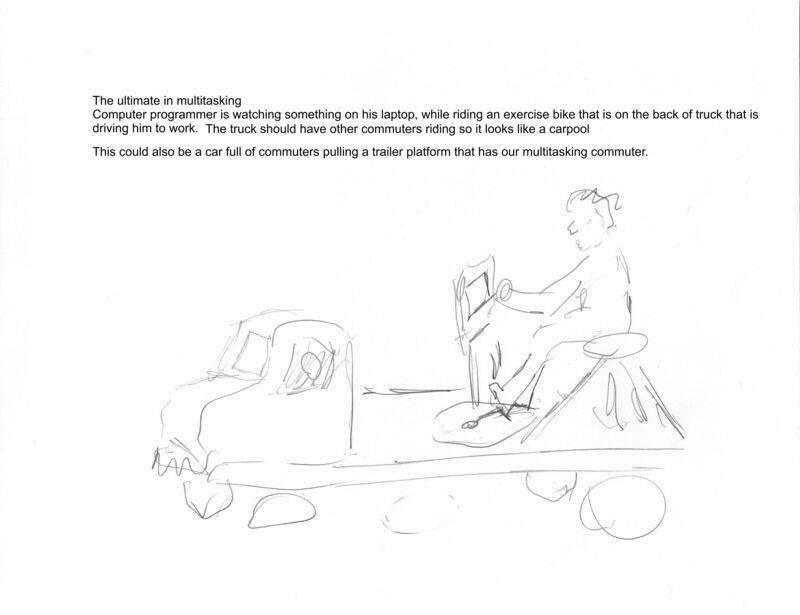 See attached sketch for the "truck" based approach.